Illinois has over 10 separate entities by which businesses can be formed: From corporations and limited liability companies, to farm cooperatives, church corporations, and professional associations. Clients wishing to form a business are counseled by FMGR attorneys as to which entity makes the best fit with respect to liability protection, tax advantage, and the other characteristics that may be unique to individuals and investors who wish to start a business. Our organizational forms are tailored specifically to the client, providing both the flexibility and stability business clients seek. In addition, our transactional department will obtain employer ID numbers, business registration authorizations, authorizations to do business in different states, and all the other forms and filings mandated by the various governmental agencies which must be satisfied. We take the time to explain the why's and how's of the business structure in order that all principals go into a new enterprise with a complete as possible understanding of how the entity will operate. Our clients include organizations we have helped start, as well as companies that have been in business for decades. We provide ongoing, occasional, as needed advice to both business and non-profit enterprises on various matters. Unless a client requests, we do not close our file on business entities and find that our institutional memory provides us the opportunity to anticipate an ongoing client's needs, or more quickly and efficiently handle a new project. Counsel at FMGR are regularly involved in business transactions: mergers, acquisitions and reorganizations; stock and asset purchases and sales; intellectual property ownership and licensing; labor and personnel concerns; and almost every conceivable transactional issue on which we may be called for advice. In addition, we frequently represent clients before federal and state tax agencies, the Environmental Protection Agency, and the other federal and state agencies which may effect our client's projects. The transactional attorneys at FMGR seek to help the client navigate through the ever-changing landscape of laws, rules, regulations, and other entities. When the need arises, however, for asserting or protecting a client's right in court, FMGR attorneys are experienced and successful in business litigation. 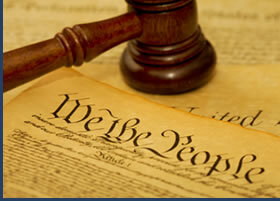 We have tried commercial cases before state and federal courts and at both the trial and appellate levels. This practice group includes attorneys with practical experience in business such as banking, travel and transportation, property management, and marketing. Our attorneys also participate in the community, as volunteers, and even elected officials. Consequently, we are familiar with the regional business and governmental community.